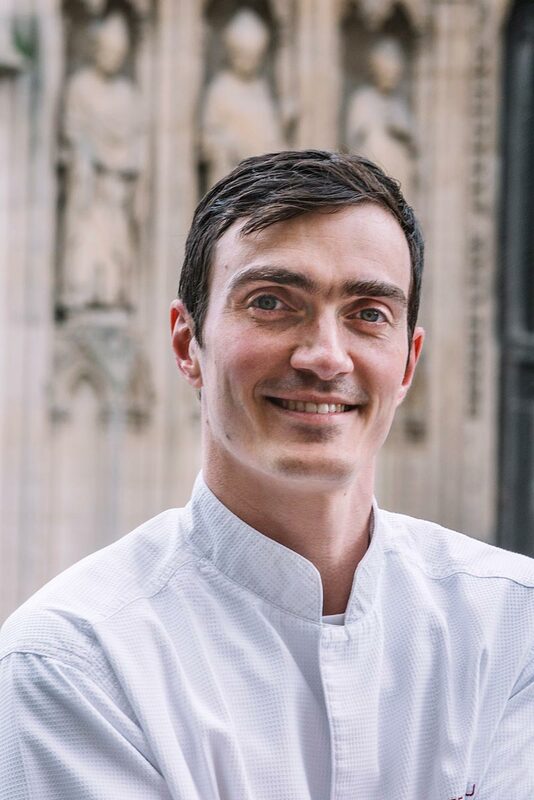 PM Pastry Chef Bordelais - Who We Are - Who is Pierre Mathieu? The pastries, canelés, chocolates, candies, macarons and ice creams that you find at PM Bordeaux Pastry Chefs are carefully crafted by a team of passionate pastry chefs. Our philosophy of work: taking pleasure in our work to provide some, share it with gourmands for the sole purpose of satisfying them. Our desire: Offering to as many people as possible, products made with love and respect, favoring quality seasonal ingredients. Very early on, I had the chance to discover the craft in which I wanted to flourish, the pastry. I started my training and my active life at the age of fifteen. From the beginning, my wish was to receive the best possible training. I chose to take my CAP course via les Compagnons du Devoir in a Bordeaux pastry. After my last five-year experience as a pastry chef at the “Palace Mandarin Oriental, Paris”, it made sense for me to use my seventeen years of experience to move from a dream to a reality: opening my own bakery in my hometown Bordeaux and pass on all I was able to learn.